President Museveni shares a pictorial moment with the participants at the African Blockchain Technology conference at the Serena Conference Centre in Kampala (COURTESY PHOTO). KAMPALA: President Museveni has asked Bank of Uganda Governor, Mr Emmanuel Tumusiime, to drop his “dogmatic and old-fashioned” views on crypto currencies and accept them as a modern medium of exchange. 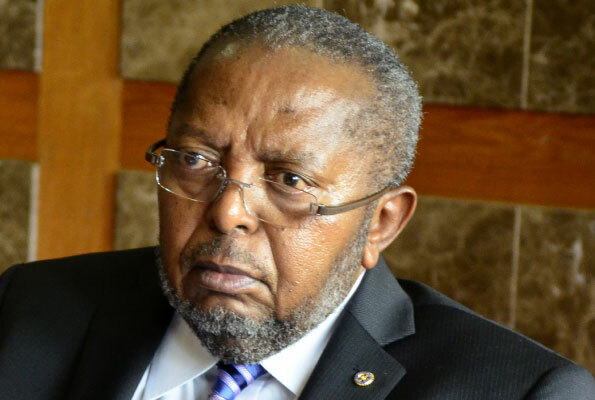 Mr Mutebile is opposed to crypto currencies, a form of decentralised digital currency, saying they are very unreliable as a medium of exchange and are prone to fraudsters. But speaking at the Africa Block Chain Conference at the Kampala Serena Hotel on Wednesday, the President told the Central Bank Governor, who was in attendance, that mediums of exchange have undergone evolution and that he must adjust accordingly. “I encourage the Governor to be more inquisitive and not to be dogmatic. Money itself changes. Up to 1930, some of the economies around the world had the gold standard. Money was initially gold and silver. In the Great Lakes, we used cowrie shells, which we called ensimbi. After Gold they introduced the Fiduciary Issue. From the gold standard, eventually we ended up with paper,” he said. Mr Museveni added that crypto currencies, being faith based and depending an “open book of records” (digital ledger), is likely to enhance transparency in businesses. The President was reacting to Mr Mutebile’s earlier remarks, who reiterated his warning to Ugandans not to risk their money in crypto currencies. “They don’t have the privileges of the legal tender and are not backed by the Central Bank, which ensures that the supply of currency is always adequate to meet the demand. There are no external mechanisms for backing crypto currencies to ensure that they have a stable value. Hence they are subject to extreme price volatility which renders them ineffective as a unit of account,” he said. He added that Crypto currencies such as Bitcoin allow cross border payments, which can facilitate illicit transactions such as money laundering and financing of crime. The two-day conference, which is being held under the theme “The role of Blockchain Technology in Africa’s transformation” is aimed at spurring engagement from both the public and private sectors, by sharing understanding as to how it can be adopted and the impact.